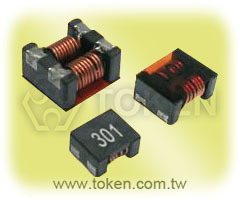 Token newly released Common Mode Choke (TCPSEH) which handles currents up to 8.0 amps. Comprehending the distinction between common mode signals and differential mode signals is very essential as we have to understand what the circuit requires to lessen noise. How can we determine if the noise is differential or common mode? One method to test whether the issue is common mode or differential mode is always to fasten a snap cable ferrite towards the cable under consideration. By attaching the snap cable ferrite, we must make sure that If there's a noticable difference within the decrease in noise, the issue is common mode. Otherwise, then there's a differential problem. But bear in mind that within the cable are generally wires incorporated, towards and backwards the burden. Common mode chokes are utilized to reduce a particular kind of electrical noise referred to as Common Mode Noise. They are also known as Current Compensated chokes or Current Cancellation chokes. Common mode chokes (TCPSEH) work nicely in applications like AC/Electricity power supplies (lines with large current movement) and signal lines, where distortion from the signal can create problems. To precisely decide which common mode will support your requirements, here we use Nickel Zinc for wideband and greater frequency applications and Manganese Zinc for lower bandwidth and frequency applications. Token Common Mode Choke (TCPSEH) taking the advantage of Manganese Zinc and Nickel Zinc materials booms frequency up to higher 100 megahertz side. Download Complete Datasheet High Current Common Mode Chokes (TCPSEH) PDF. Very high rated current and low RDC. Wire wound constructure common mode choke. With best EMI suppression effect high impedance. A wide range of SMD package design, 7.0 × 6.0 × 3.8 , 9.0 × 7.0 × 4.8 , 12.0 × 10.8 × 6.4. Wireless charging and power device design. Best for high current circuit such as car. Radiation emissions from power line or else. Preventive measure against common mode noise. Min. DC Resistance (mΩ) Max. Rated Current (A) Max. Rated Voltage V Max. Insulation Resistance (mΩ) Min.